Approaching the topic of a prenuptial agreement is always tricky due to the negative stigma these agreements typically carry. Prenuptial agreements (or prenups), which are legally-binding contracts, can be utilized by parties to a marriage to protect themselves financially in the event of divorce. Many believe that engaged couples who truly love and trust each other don’t need prenups — and the slightest mention of one can often plant seeds of doubt and mistrust. While prenups have a reputation for causing marital friction, they actually provide helpful benefits to both parties before entering into a lifetime of commitment. Prenups cannot be forced or coerced and must be entered into willfully by both parties. Therefore, a prenuptial agreement forces an engaged couple to openly address certain issues that can cause conflict in a marriage and often lead to divorce. By clearing the air before marriage, a couple can avoid financial arguments that can damage their relationship down the road. In many ways, marriage is like a business deal. Both parties’ bank accounts, homes, and vehicles become shared assets. By requiring full financial disclosure up front, prenups serve as a strong foundation of understanding between two people by offering each spouse a clear idea of their financial obligations should their marriage end. Marriages don’t always work out, but few enter into them with the intent on ending them in divorce. Should a marriage fail, a prenuptial agreement would save both parties time, money, and heartache in the long run by working out the details of their dissolution of marriage in advance. Prenups establish alimony and get issues like asset and property division settled and out of the way in order to avoid a bitter divorce. If you’re getting married, don’t be afraid to talk to your partner about a prenuptial agreement. In most cases, a prenup is a contract many spouses never have to worry about, but one that requires careful preparation by a skilled prenuptial agreement attorney. 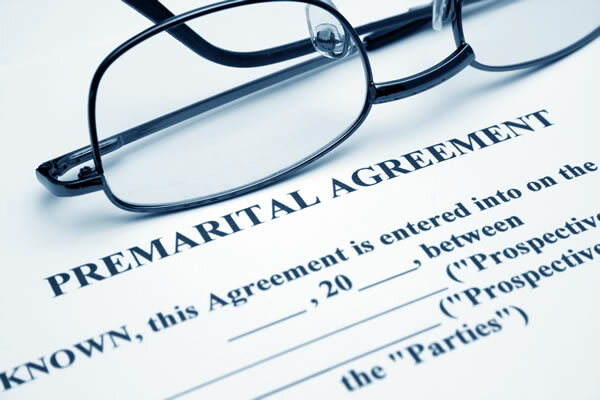 If you have any questions regarding prenuptial agreements, please contact The Roberts Family Law firm at 407-426-6999.